Yes! 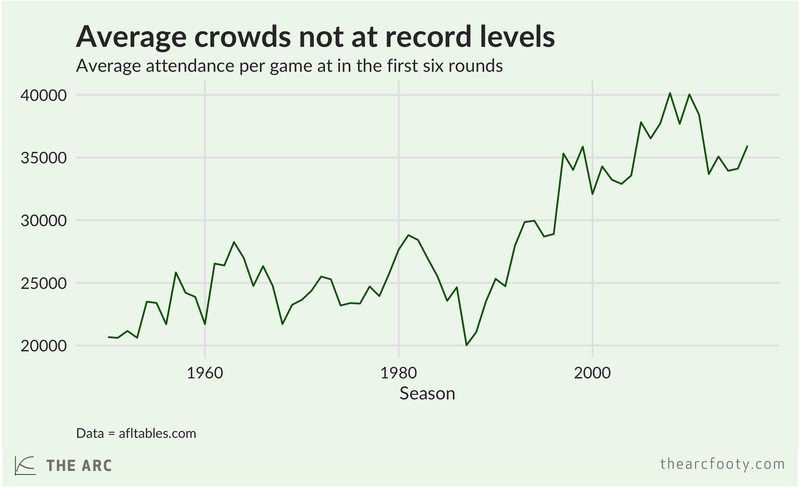 After six rounds, a total of 1 941 313 people have been through the turnstiles at AFL games, beating the previous record set in 2008 of 1 927 073 people. 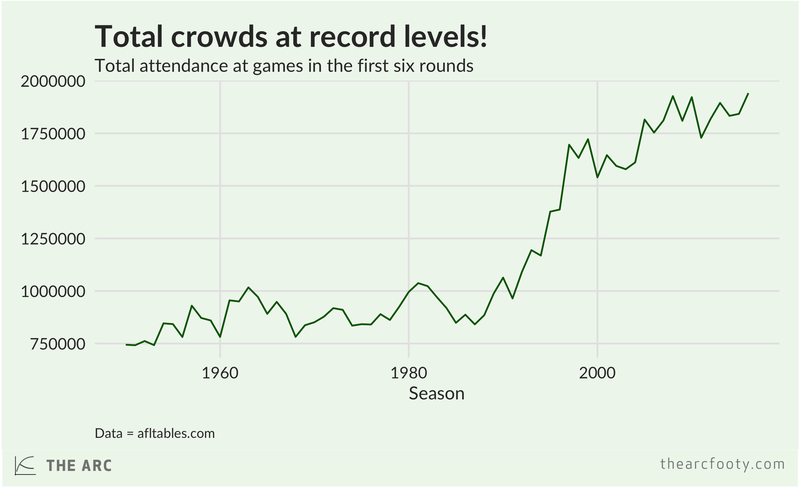 But in 2008 there were eight games per round; nowadays there are nine. The average crowd numbers are still well below the level they reached before the entry of GWS and the Gold Coast into the competition. Previous article	← Is your club’s performance in 2016 driven by old campaigners or rising stars?